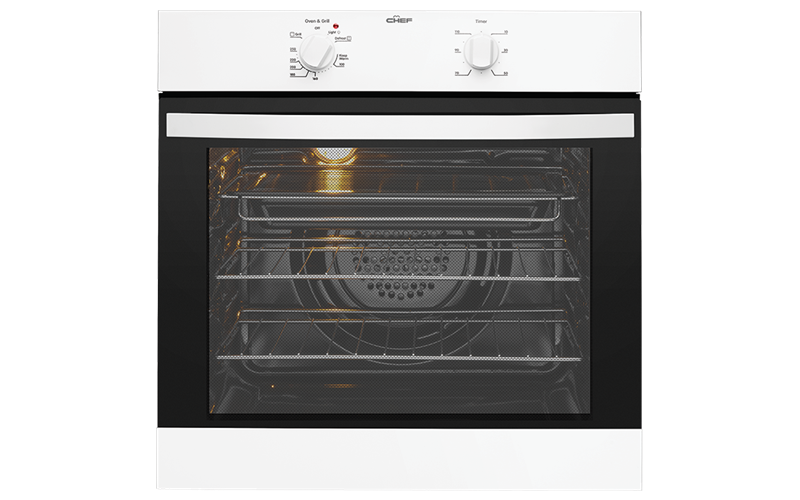 Electric Single Oven is rated 4.7 out of 5 by 3. This fan forced oven allows you to perform multi-shelf cooking. The large capacity means that most family needs can be easily catered for. Rated 5 out of 5 by Dsark from Great value for money The oven look amazing and is well worth its value. Replace a previous Chef with this one and hope to get the same 12 year mileage out of it! Rated 4 out of 5 by Kath14 from Great oven! Cooks my cupcakes perfectly. I purchased my oven just over one month ago and it works beautifullly. The only problem is the timer, it doesn't make a sound when time's up. What should I do? Rated 5 out of 5 by chaplink194 from Simple and Easy Simple to use, heats up quickly and have not had a single problem with it.